I was asked to make two baby cards for a couple of teachers. 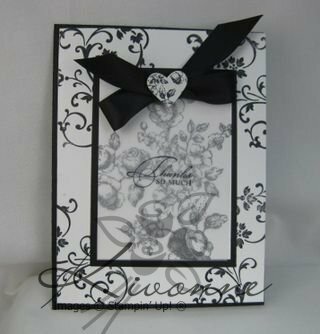 I have been thinking about a baby card class and this just helped me do a kick start with ideas. It seems like Spring is the time when lots of baby are poppin up! :) So I decided to get started early with my cards. I give Sandi Mac Iver credit for the baby carriage but I can't remember who to give the credit to for the baby in blanket. Hope you enjoy these cards...I was sure excited and proud of myself! Have a great memorial weekend and thanks for stopping by! I read more posts than I write. I love to marvel at others work and dream that could be me. I forget that all I have to do is spend some time organizing, creating, and posting. :) One of my favorite blogs is Sandi Mac Iver. She inspires me every time I look at her blog. When I found out she was coming to Sequim, I knew I had to attend her class. I asked my good friend Cheryl if she would like to travel with me. So off we went early Saturday to a fun filled class full of great people, challenging and beautiful card/projects, and Sandi. I had to get a picture with Sandi! These are my beautiful cards/projects I created from the class. This was my swap! I got the idea from my up-line Sharon Burkert. This is Cheryl's swap card. Sandi, thank you for the great time, sharing of your friends, projects, and your time. It was a pleasure to meet you! Wanted to share a couple of projects I made for our last technique class. I wanted to take a break from stamping techniques and show off some fancy folds. This was a fun class and the projects were beautiful. Enjoy these wonderful pictures and you are welcome to come join my classes. Hope to see you soon. May is scrapbook month and Stampin Up has come out with a wonderful video to give you some ideas and to highlight the special promotion being offered. Please enjoy the video and click here to view our specials this month. Two weeks ago, the 8th grade girl's volleyball team had it's end of the year party. I always try to create gifts for them and for the parent volunteers I have. (Also hoping to drum up some business.) So I got these wonderful tins from Target about 2-3 years ago and waited for the right moment to use them. I felt this was the time I pull out all of my old $1 target things to add to a nice gift for the girls. 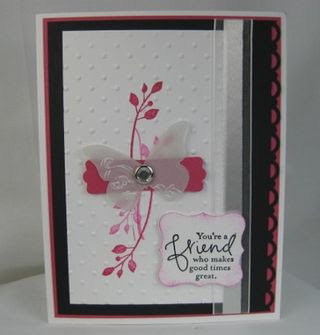 I used retired DSP, on board lots of letter and load of letter, and different embossing folders. I made this notebook folder for my Head volunteer. She not only helped me in volleyball but also in basketball. It will be one of my last times to work with her! We had a great season! Thank you girls! 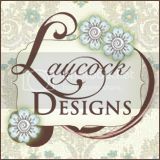 Summer mini is here...just click on the left side bar to take a look at the new stamps and supplies you can order. Please email me at: ktstamps@gmail.com if you have any questions. 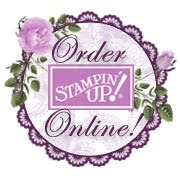 You can always go to my online store and place your order. If you are looking for a great upline, HERE I AM! I would love to help you enjoy selling this wonderful product! I used new stamps for this wonderful card. Accessories: Clear embossing powder, Wide oval punch, Scallop oval punch, Large oval punch, Brocade Blue 5/8" Grosgrain, dimensionals.